Prices of ski essentials - like a week's lift pass, equipment hire, tuition, food and drink - have risen by up to 13% in two-thirds of the European resorts surveyed in the latest report compiled by the Post Office, with French ski resorts seeing some of the biggest price hikes. Bansko in Bulgaria and Bardonecchia in Italy are the European resorts giving the best value on ski holidays this winter, according to the 12th annual Post Office Travel Money Ski Resort Report. Produced in partnership with Crystal Ski Holidays, the report reveals that prices have fallen marginally in both resorts to help them pull ahead of Kranjska Gora in Slovenia, which was rated best value last year. At around £405 per person for the ski essentials for a week's ski holiday, Bansko has regained its position as the cheapest of 25 European ski resorts surveyed. Although prices have fallen by only 1% year-on-year, Bansko's barometer total now costs 10% less than in Kranjska Gora because prices there have risen by 13% to £452. Ski essentials cost less than half those in a third of the European resorts surveyed - including some of the favourite resorts in France, Austria and Switzerland. Bardonecchia in Italy has retained the runner-up position and is now cheapest in the eurozone - if only by a whisker. It is just 20p cheaper than Kranjska Gora at £451.66 because prices are down by 0.7% compared to the big increase in Slovenia. Italy is the cheapest country overall, boasting four resorts: Sestriere, La Thuile and Cervinia, in addition to Bardonecchia, in the best-value top 10. By contrast, there are no French ski resorts in this year's top 10. The cheapest of five surveyed was Morzine (£608) but a 7.6% rise in its barometer total means the resort has fallen two places to 11th in this year's table. Elsewhere in France, Crystal Ski resort staff found some of the biggest price rises. Visitors to Val d'Isère (£884, 22nd in the table) can expect to pay almost 13% more this season, while prices in Courchevel (£855, 20th place) are up 8.9% and they are 8.1% higher in Les Deux Alpes (£656, 17th). However, in Serre Chevalier (15th place) the same ski essentials cost just under £637, only 3.6% more than a year ago. This year's Post Office Ski Resort Report features five new European resorts: Garmisch Partenkirchen (Germany), Grindelwald (Switzerland), Rauris (Austria); Trysil (Norway) and Vemdalen (Sweden). Vemdalen (£514) proved to be the cheapest of the five and has taken fourth place in the table ahead of all the Austrian, French and Swiss resorts surveyed. Zermatt again proved to be the most expensive resort surveyed in Europe at £1,026, although prices are down marginally (-0.3%). The cost of living in the Swiss resort is over two-thirds (69%) higher than in Cervinia, across the border in Italy and the only other resort with access to the Matterhorn. New addition Grindelwald (£871) proved to be almost 2% cheaper than the cost in nearby Wengen last season. 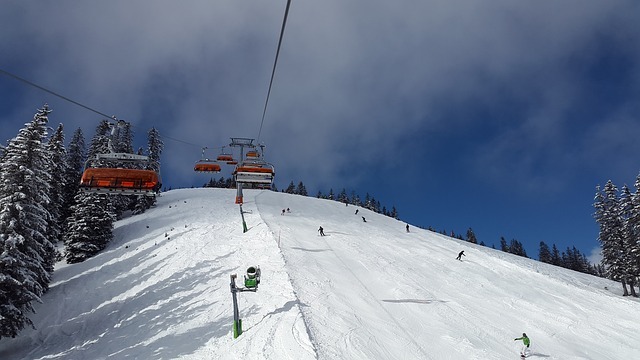 Crystal Ski managing director Chris Logan said: "Bulgaria is known for being a great value destination for ski so it's little wonder Bankso has taken the top spot this year, but it's great to see so many other resorts in the mix for price-conscious customers." In North America, where pricing excludes ski tuition this year, Banff was again the best value of six resorts surveyed. The Post Office Ski Resort Report was compiled using prices for 25 resorts in Europe and six in North America, provided by Crystal Ski Holidays. Costs are based on mid-season pricing and entry level skis and boots, for one week's holiday. The items surveyed were: ski lift pass for one week; ski equipment for one week; ski school tuition; six cups of coffee; six small coca-colas; six medium glasses of wine; six bottles of beer and six lunches on the slopes.